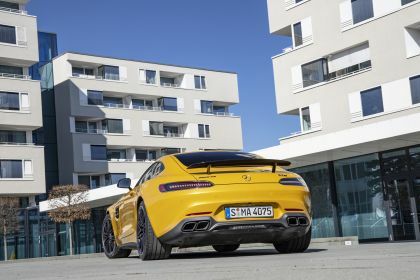 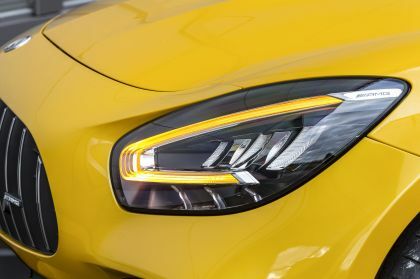 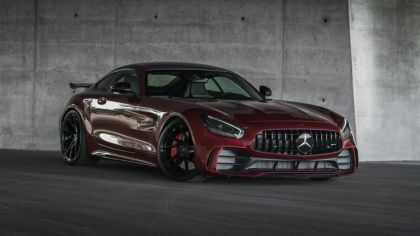 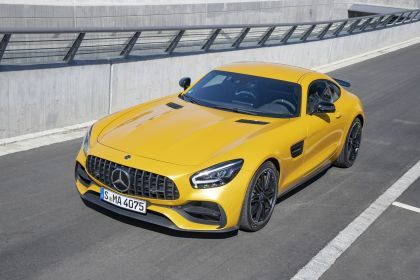 On this page you can find 23 high resolution pictures of the "2019 Mercedes-AMG GT S" for an overall amount of 130.13 MB. Affalterbach. 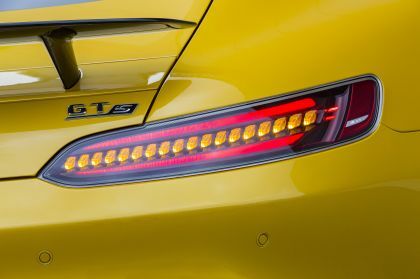 The AMG GT high-peformance sports car (fuel consumption combined 12.5-11.4 l/100 km, CO2 emissions combined 284-261 g/km) is now vying for customers' attention with lots of sharper details and the new, limited Edition AMG GT R PRO. 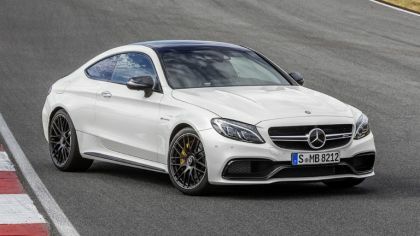 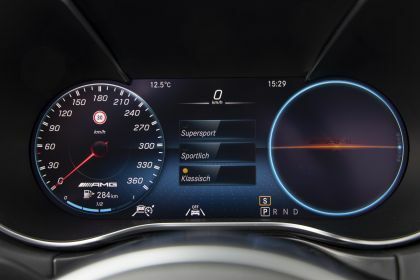 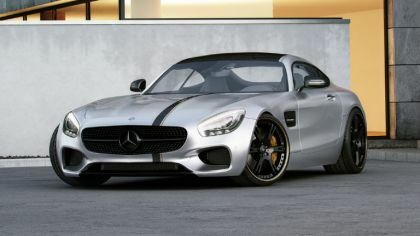 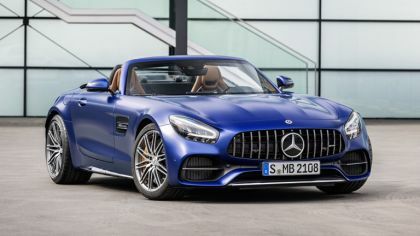 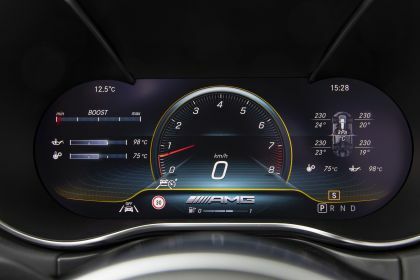 The two-door AMG GT Coupés and Roadsters are bestowed not only with updates on the exterior but also the integrated dynamic control system AMG DYNAMICS for even more agility, the new AMG Performance steering wheel, a centre console with innovative display buttons and a fully digital Instrument Display with AMG-specific display styles and content. 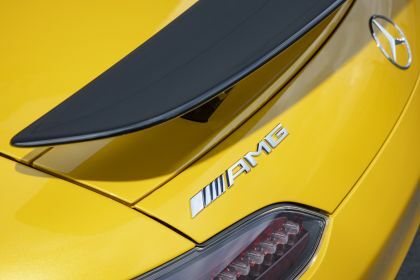 "The AMG GT embodies the core of our brand, "Driving Performance", in a unique way. 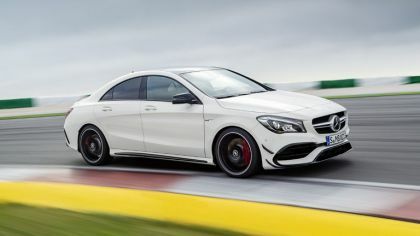 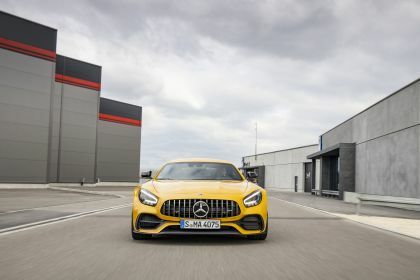 At its debut in September 2014, it not only turned the heads of customers and sports car enthusiasts, but also created new dimensions in the competitive environment. 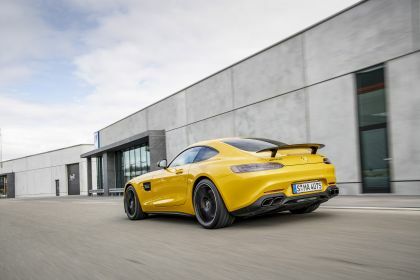 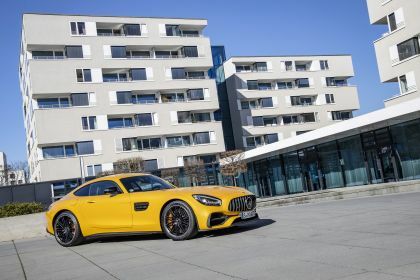 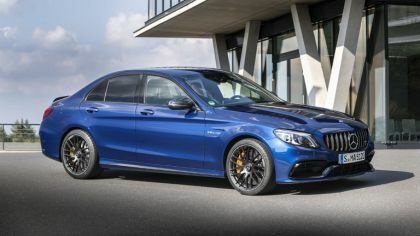 In order to continue this success story we have now equipped the two-door models with numerous innovations from the AMG GT 4-Door Coupé", says Tobias Moers, Chairman of the Management Board of Mercedes-AMG GmbH. 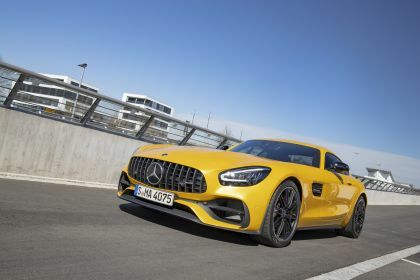 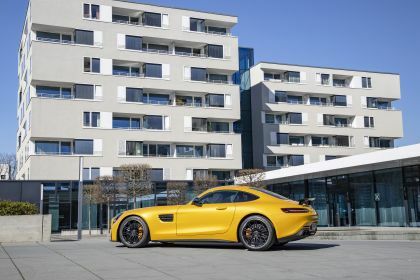 The basic layout of the AMG GT portfolio with its front mid-engine concept and transmission in transaxle configuration at the rear axle enables an advantageous slightly rear-biased weight distribution. 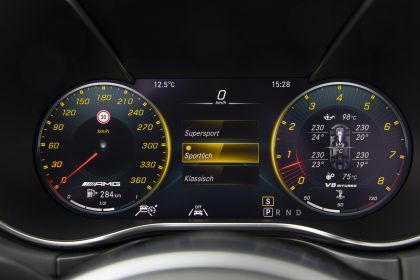 In conjunction with the vehicle's low centre of gravity, this translates into extremely agile handling and permits high cornering speeds. 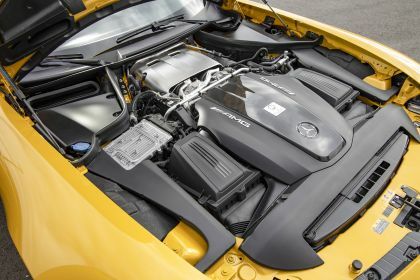 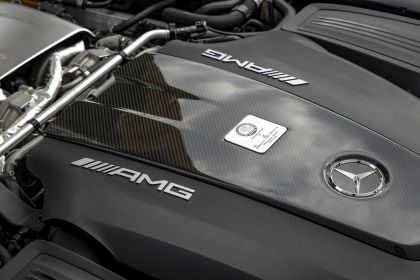 The AMG 4.0-litre V8 biturbo engine delivers ample power right from the low rev range and enables outstanding performance. 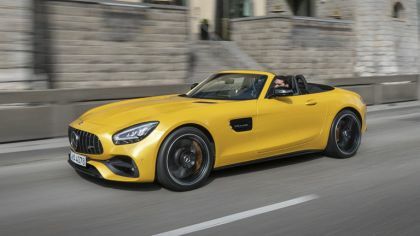 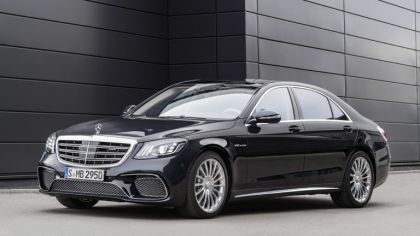 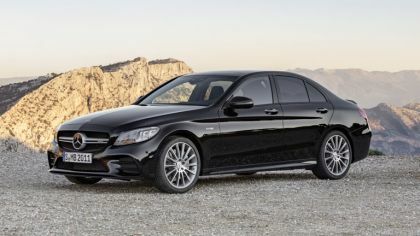 At the same time, the two-seater is a straightforward, comfortable and reliable companion for everyday motoring thanks to its easily accessible luggage compartment, a high level of comfort on long journeys and the extensive Mercedes-Benz Intelligent Drive assistance systems.